Coole Farbe! Woher hast du den essie matt-macher? Wo gibt's den in der Schweiz zu kaufen? die farbe sieht super aus !! I've been looking for matte cover nail polish everywhere, but I can't seem to find it here in Oslo. Trying to mix together a good copy of the turquoise Chanel one that everyone's wearing. Will have to try out that gold/chocolate color as well, looks good! :) Delievered your paper yet? 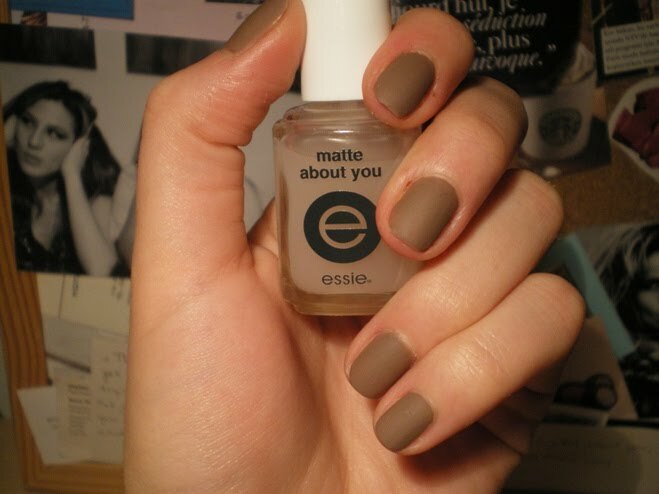 I loooove matte nailpolish. It's really pretty! i love this colour! you should try the brand zoya - they have a lot of amazing colours and they do quite a few matte shades as well. WOOOOW! 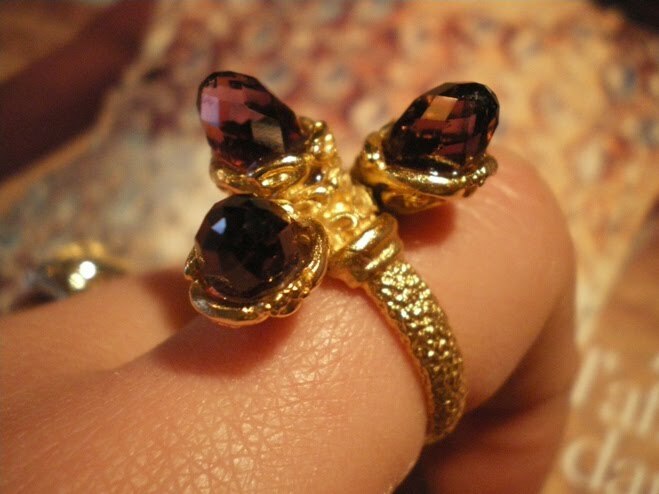 I LOVE THESE RINGS AND THE NAIL POLISH IS FABULOUS!! love the rings, especially the one on the second pic!! tam benlik bisi bu ilk firsatta bir tane almam gerek boyle bir sey oldugundan bile haberim yoktu benim cok saol. Ech glaube, ech muess be der mal cho lerne Lackfarbe mische :)! Nesli, de Ring esch wonderschön! @Evereyes: Den Überlack von Essie hab ich über Ebay bestellt, konstete mit dem Versand ca 10 Franken glaube ich! Wow, must give matte nail polish a try. What a different approach! Thanks for sharing. my husband's bought the same ring to my mom, she loves it. looks nice with the matte taupe nails. @Seda: My friends from Switzerland and I went crazy over those kinds of rings during our stay there. Such lovely souvenirs! Lovely rings but this matte tone doesn't work for me this time!